How many stories can you recall from your childhood that had two competing characters? The Tortoise and the Hare, The Ant and the Grasshopper, Beauty and the Beast. The Bible is also filled with stories of two–Cain and Abel, Abraham and Lot, Jacob and Esau, The Rich man and Lazarus, Prodigal Son and his brother and the two builders—one built on the sand and the other on the rock. All these stories are used to teach moral lessons, and since we grew up on these familiar tales, then it is easy for us to be persuaded by using this strategy of comparing two alternative paths—heaven and hell. One of the most common ways in which this technique is used in marketing is the “before” and “after” picture as for a dieting or skincare product. The results are juxtaposed in a contrasting bid so that the prospect would want to shun the one and be attracted to the other. “In creating the G4, LG designers took inspiration from everywhere to create an ergonomic, gently contoured device crafted from timeless materials. As a result, the smartphone has never looked — or felt — so good. “I was making about 1 sale for every 100 visitors to my website. Considering that I was paying for those visitors using PPC search engines I was losing money because of the small profit margin of my product. That’s when I hired Ray to rewrite my sales letter. Although I still pay for traffic to my website now my sales are up 10 times! Yes, that’s a 10% conversion rate!! 3. You can simply ridicule the other product which would imply the contrast without actually saying it. We see a lot big companies using this strategy such as Coke vs. Pepsi, Apple vs. Microsoft and the ongoing battle between the Apple iPhone and Samsung smartphones. The more competitive the market the more we will see this strategy being used. They were very much alike. Both were happily married. Both had three children. And both, it turned out, had gone to work for the same Midwestern manufacturing company, and were still there. Now in order for this persuasion technique to be most effective the drawback on the dark side must be really painted against the beauty of the bright side. You must really make the wound fresh and bleeding, then apply your solution as the healing balm. Ever heard about the Three Card Monte street hustle? As a university student in Barbados, I was warned by fellow students about these street hustlers on the streets of Bridgetown. If you are familiar with the game, then you know that the tricksters simply juggle three cards—usually two kings and an ace—and ask you to keep your eyes on the ace and identify it at the end of the shuffling. If you can do so successfully, then you win the bet. Now I’m not a gambling man, so I didn’t really need this warning, but it was interesting to learn how they were able to pull passerby’s into the game. There were always some assistants in the crowd pretending to be wagers, but were really working as partners with the main hustler and so they would always win. So when other onlookers saw how easy it was to win, they would eagerly enter the game and quit just as eagerly after losing their money. Those well placed assistants provided the needed push to get onlookers over the line and into the game. The same principle applies to any sale. Of course, not that you have to trick people into buying, but there comes that critical moment when the prospect is almost convinced about taking action. You have won his attention, built up interest, proved that your product is what will solve his problem, and at a fair price, but he is not ready to pull out his credit card as yet. Well, you have to give a gentle push. Gentle because it would seem that you are not even doing the pushing, but making it easier for the prospect to move forward using the momentum already developed by your sales pitch. Now the rule of thumb here is that the larger the sale the gentler has to be the push. We are very familiar with this approach from the automotive industry. Let’s take a motorhome for example. You’ll seldom see an advertisement with a direct appeal for you to buy a motorhome. Instead, you are sold on going to the dealers showroom to see the latest models, “without obligation” for you to buy. While at the showroom, the salesman wouldn’t try to sell you directly either but gets you to experience—sit, feel, touch, smell—what it would be like to own one of these models. The next step is to get you to take a test drive and he calls your attention to all the comforts and luxuries of the RV. He then looks for cues that you are ready to buy and gently introduces the subject of financing the purchase. Before you are even aware about what has happened you are a new owner of a motorhome! The same principle applies to selling expensive exercise equipment. The TV commercial will never even mention the price for the gym, but rather sell you on sending for an information package. The package may then try to persuade you to visit a showroom to see the equipment before your purchase is shipped. This is the same kind of salesmanship that must be placed in all your marketing messages. About every prospect has a certain inertia to parting with his money and would want to delay making a positive decision and shy away from committing himself to the purchase. So rather than going for the jugular the salesman must tell Mr. Prospect that he doesn’t have to decide now but simply make a small “baby step” commitment towards making the purchase. If you are selling a software this may in the form of a 30-day trial, and if selling a course it may be deciding after the first few lessons. Now it is a lot easier to get someone to try your expensive software for a month for free than getting him to make a purchasing decision on the spot. But what happens during that 30-day free trial? He tries your software, sees how it makes his work a lot easier, falls in love with it and then becomes so attached that he cannot see life going on without it. At the end of the trial period he finally makes the purchase. Even though we have looked at selling expensive items the persuasion principles behind any sale is the same. Smaller commitment are easier to make than larger ones so look at your sales process and see how big steps can be broken down into smaller steps. For example Publishers Clearing House in their direct marketing packages would ask for you to place some stickers on a response card and enter a free sweepstakes for free, when their primary objective is to sell magazines. Many information marketers who sell expensive courses on the backend often simply ask for an email address on the front end. The prospect may send for a free report or a white paper and then comes the pitch for a low-priced book. If this sale is made, then a subscription to a membership site may come next in the marketing funnel, then a seminar and finally high-end coaching. If the information marketer attempted to sell a high ticket seminar to cold prospects he would likely fail miserably. But these prospects have already been “trained” to say “yes” to baby steps and are now prepared for the big step. 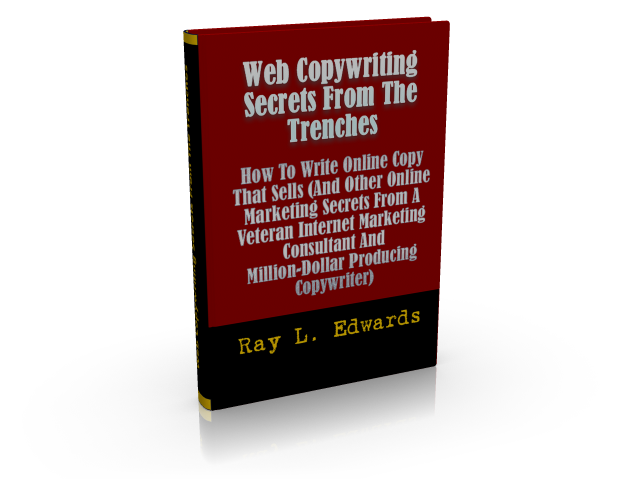 As a freelance copywriter, prospects who come to my website are presented with a simple query form. After they have filled this form they have to fill a detailed questionnaire to tell me about their product or service. Without fail, if a prospect is not willing to go through these simple steps, then I know they are not a good match. The point here is that baby steps can also be used as a “filter system” to finding the best customers for your business. The bottom line is that your prospects who are interested, but have not come to a final decision, would want to put off that commitment. So rather than asking for the FULL purchase ask for a minor decision at this point, which in most cases will carry him to the finish line.